Need more leads in less time? One of the first things we recommend to any real estate investor who wants to rank well in Google for local search terms (“sell my house fast Houston”)… is to build the foundation of your SEO efforts. One of those fundamental elements that Google really looks for is called “Citations”. I’d equate citations in SEO to tilling the ground in farming. If you don’t first till the ground you can still grow a crop… but when you till the ground it gives the crop a heck of a lot better chance to sprout something more quickly and yield a bigger crop. On this page, we’ll describe what a “citation” is and how if you don’t have the time to build them yourself… we can do it for you for 1 low price here on this page. In simple terms, a citation is a listing on a website that includes your company name, phone number, address, website, and other basic business info. There are hundreds of great websites to get business listings on… such as yelp.com, yellowpages.com, Yellowbook, manta, Superpages, kudzu, and lots more. Most of these websites are free to list your business on… but the drawback is it takes time and can be a major hassle to do yourself sometimes. It’s one of those tasks that you should hire an assistant to help you with… except then you’d have to train the assistant to do it. Which is why we’re offering to do it for you (we already know how to do it ;) ). Why Do I Need Citations (how do they help w/ SEO)? First off, you don’t NEED citations to rank well. Tons of our customers have ranked very well in Google for competitive terms all around the country without even one citation. But, citations can help you rank well faster… can help you climb past a competitor when you’re stuck in a spot in the search rankings… and can help solidify your current high ranking (congrats!) so it’s harder for other competitors to outrank you. There have been countless studies and reports written up that list the factors that Google looks at when ranking websites for a search phrase. In the graphic below by top search engine experts, Moz, they ran a recent test on hundreds of thousands of keywords and analyzed the ranking factors that help a website rank for local terms. By “local” terms I mean search phrases that a person types in that include a location name (city, state, neighborhood, etc.)…. which is what has been really effective for attracting motivated sellers (“sell my house fast Atlanta”), buyers (“Chicago investment properties”), tenants (“Portland Oregon apartments”), etc. You’ll notice the most important factors to ranking your website well for local searches is the content on your site (which Carrot is great at), having the city / state on your page title (which Carrot has done by default on your homepage and we provide training on how to do on other pages), links, etc. At InvestorCarrot we’ve built our system and our training to help give you an edge and head start in those factors. But as far as citations go… someone has to manually build those business listings on the websites. It could be you… an assistant you have to train… or us! Why Does Google Like Citations? There are a couple core reasons that citations are so important to your rankings for local keywords. Google is on a constant quest to bring up the legitimate, reputable, honest companies doing business in the searcher’s area… because it’s in Google’s best interest to give the web searcher a great experience. If Google kept serving up websites and companies that were scams… people would stop using Google as a search engine. So one of the ways that Google can tell if a website/company is legitimate is whether the company has taken the time to list their business on reputable websites. AND, not just list their business on those websites… but ensure that the info about their business is accurate, the same across all of the citations… and they match up to the company name, phone, address, etc. on that company’s actual website. It’s less the individual link from the Yelp citation that helps with the SEO… and more the overall feel Google gets from all of your citations and your website together. Can I Do Citations Myself? You sure can! In fact, we encourage it if you have the time and patience to do it! As you see in the graphic from above (posted here again) there are 2 major things that are crazy important with your citations. You want to make sure that you’re choosing reputable authority websites to list your business in. Ones like Yellowbook, Superpages, Yahoo Local, Bing, Google +, DexKnows, Citysearch, etc. etc. There are hundreds. If you list your business in directories that aren’t respected authorities online… you could be doing yourself more harm than good. We have honed the list of websites that we like to get citations on to about 40-50 of the best ones. We suggest you build at least 40 solid citations… any less than 25 or so won’t do you a whole lot of good. The more high-quality citations you claim the better according to Google’s eyes. This is the part that most people overlook. If Google sees a different phone number on your citations than is on your website… that can actually work against you. So one of the things you should do when you’re building your citations is to make sure that all of the information across all of your citations and your website are uniform. 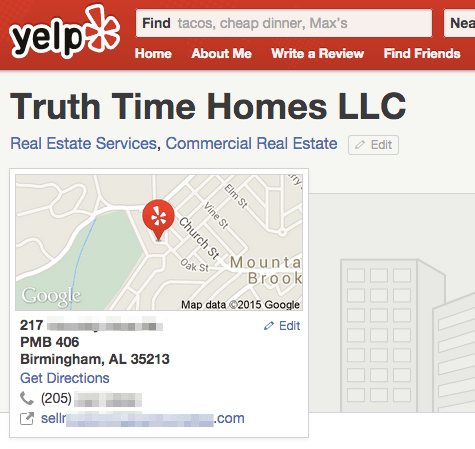 The same company name, same address, same website URL, same phone number… you get the idea. So if you’ve changed your company name or phone number recently… you’ll want to make sure your citations are updated to match your website. 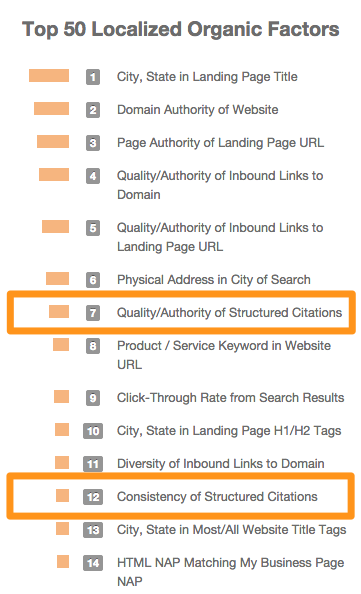 When we do your citation building for you, we focus on these 2 KEY FACTORS to make sure the citations are as powerful as possible. Why Should I Hire Carrot To Do Them For Me? Really the main question you should ask yourself here is whether your time is more valuable than the $299 it costs to have us build your 40 citations for you. If you’d value your time at even $50/hour, then it’s far more cost effective to let us do it for you. Create a free account on these sites, go through the data entry process of getting your listing created, your logo uploaded, etc. If having those 10 hours to focus on finding deals or spending the time with your family is worth the investment… you should have us do it. Also, figure in the time value of getting your citations done quickly so it can have an impact on your local rankings sooner. If you delay doing your own citations a few weeks or a couple months… you’re delaying any chance to have those citations boost your SEO rankings during that time. From start to finish it takes us about 3 weeks total. Once you purchase the service on this page and submit the form below with all of your info… you’ll be put in our queue. We usually get to building your citations within 5 days from the time we get your info (as long as we don’t have any questions). From there we research the best 40 websites for your particular location. We usually use our favorite 30 on all customers citations… then the last 10 we do more research to see if there are any local to your area. We create a “throw away” email for the citation building so any sales emails from these companies go into that email account and not your personal account. Then we get to work submitting the citations one by one. This takes about 5 – 7 days. Once all of the citations are submitted we review them all to verify they are all confirmed... then we create a simple report giving you the links to the websites we created citations on and the login for the throwaway email account in case you want to have access to the emails the citation websites send you. The citations start to be published on those websites within 4-6 weeks following us submitting them. Some may publish the citation immediately… some take weeks. It’s all up to the way that particular website works. 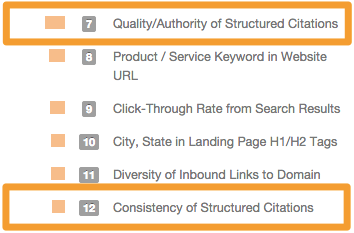 You shouldn’t expect building citations to boost your website from page 5 to page 1 overnight. But you should expect to see a boost in rankings within 2-3 months after the citations are published. Sometimes sooner… sometimes longer. We’ve found that building your local citations has been one of the most important things we can do to improve the ranking on a real estate investor’s website… and it’s darn simple to do! It just takes time. Every citation website asks for different info. Some websites let us add pictures or videos, your logo, or other types of info. Some are more basic. It usually takes about 10-15 mins to fill out the form below (which is about how long it takes to set up 1 citation. We’ll be doing 40 for you so you’re saving a TON of time having us do your citations for you!). Yes, there are some weird questions that we ask. But do your best to provide as much information as possible. You’ll see there are things that we absolutely need (of course we can’t do a citation without your company name, address, phone number, and website address)… and some things we don’t need but will help make your citations stronger if you include them when you submit the form (like the URL to your logo, your Google+ page if you have one, etc).